I'm moving into the final few weeks of school and looking to discharge a number of students. Hooray! For them, I have Superhero Speech Diplomas! But then I got to thinking about those kiddos that aren't being discharged, in fact are unlikely to ever be discharged. Don't they need some kind of certificate for work well done? 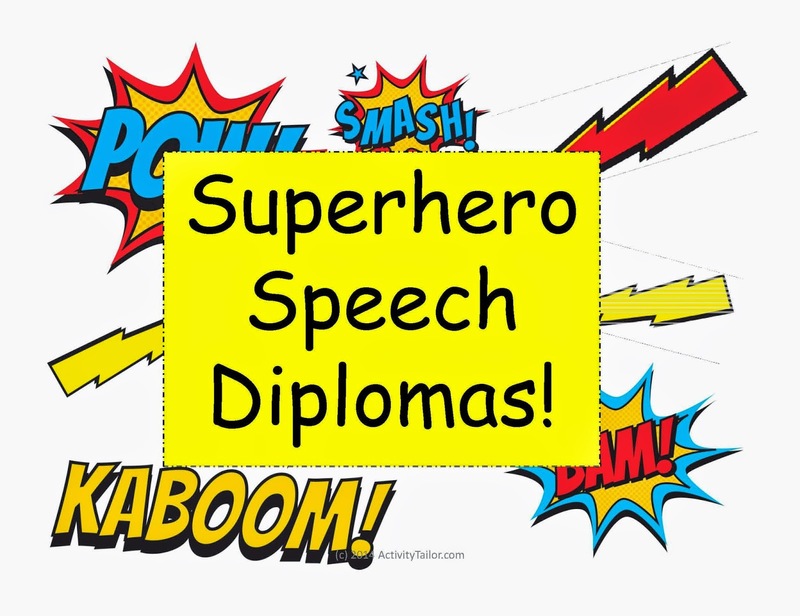 Another set of Superhero Speech Diplomas to the rescue! This free pack contains thirteen diplomas. There are specific ones for: K, G, F, V, L, TH, R, S, and Z. Plus, there are three open ended ones (ex. "I'm a speech superhero!" and "I'm attacking my speech goals!") with space to write in the recognized achievement. And there's a completely blank one for those of you who want to get creative.